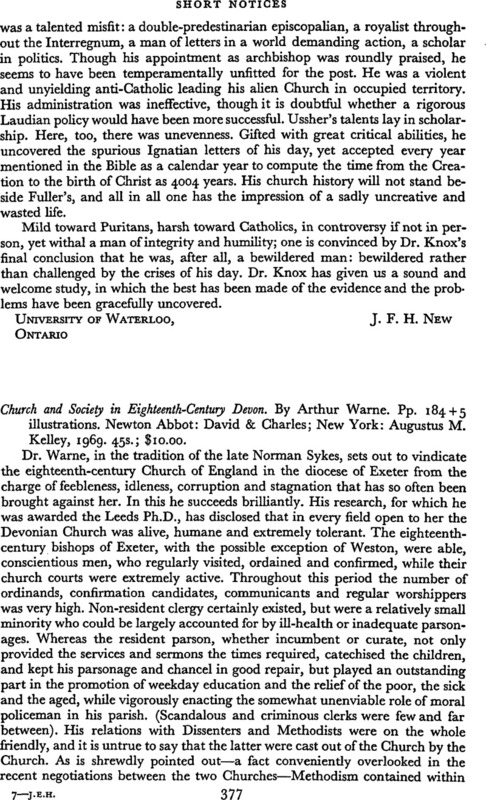 Church and Society in Eighteenth-Century Devon. By Arthur Warne. Pp. 184 + 5 illustrations. Newton Abbot: David & Charles; New York: Augustus M. Kelley, 1969. 45s. ; $10.00.